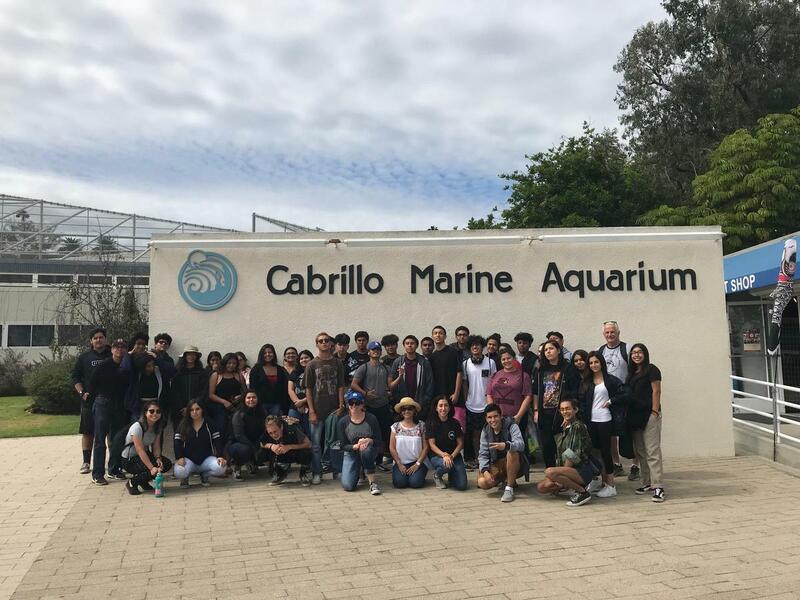 On Tuesday October 2nd we took an all school field trip to the Cabrillo Marine Museum in San Pedro. The trip was made possible by a generous grant from the San Gabriel Education Foundation who paid for the bus and all fees. Students toured the aquarium, visited their science classroom, hands on tidal pool and participated in a beach activity. The event is followed up with a reflective writing assignment in each of the classes here at Del Mar. This is a part of our cultural and environmental awareness program that exposes our students to new experiences and habitats that will broaden their academic horizon. We thank SEF for their funding to make this program possible each year. There are many pictures of the trip in the "Photo Albums" tab. Find Cabrillo Beach Trip folder to see the pictures.